Pushing The Right Buttons: Galvanise! Yes, that's right! My 'Three Little Soldiers' card was singled out to win challenge #16 by the Curiosity Crew at Linda Ledbetter's awesome 'Compendium of Curiosities III challenge'!!! The squeals of delight that followed the realisation of this amazing news had my dog running for cover, and was probably heard across the Atlantic! A huge thank you to the Curiosity Crew for bestowing this huge honour- I'm thrilled. In case you haven't heard about it, 'The Funkie Junkie 12 Tags of Christmas 2014' is an annual challenge being hosted by Linda Coughlin, the Funkie Junkie herself and has been very generously sponsored by The Funkie Junkie Boutique. 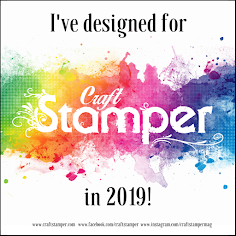 The idea is that you take inspiration from each of Linda's weekly tags and create your own version, linking all 12 before December 21st to be in with a chance to win. This is my take on Linda's #Tag 11 and features the results of an awesome 'faux galvanised metal' tutorial from Shelly Hickox. As you can see I followed Shelly's instructions by applying the Distress Paint to an embossed metal foil tag - add extra dabs of Brushed Steel and heat it with a heat gun to make it bubble for an even more aged look. The lettering was done in the same way and everything was edged with Coffee Archival Ink. For an extra touch of glamour I added some 'verdigris' Tinsel Twine, altered in accordance with Tim's instructions in the Compendium of Curiosities III, page 60. 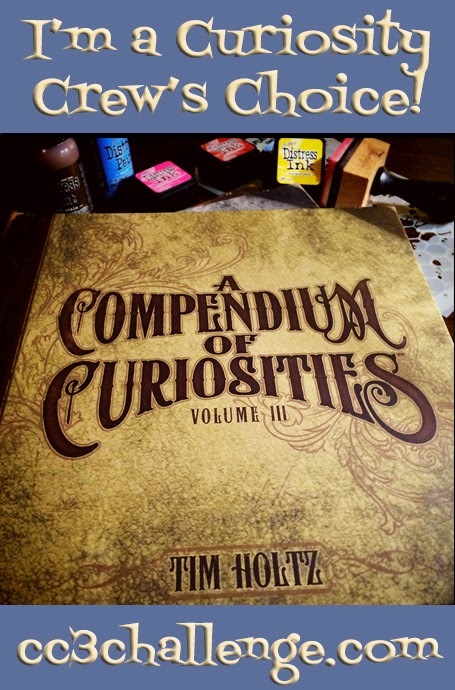 That makes it eligible for the next instalment of the 'Compendium of Curiosities III challenge #17'! This time the challenge is generously sponsored by Inspiration Emporium. You'll spot a collection of Tim Holtz Ephemera in use again - I've ordered more of this as it's just so useful for layering. And of course there's stencilling, splattering and shadowing with Tumbled Glass, Tattered Rose and Pumice Stone Distress Inks/Spray Stains. Extra flakes have been stamped/heat embossed in silver and die cut before being covered in Tumbled Glass Distress Glitter. Finally there's an Anything Goes challenge over at the Simon Says Monday challenge and it's been a while since I've been able to enter! Congrats on the CC challenge 16! Well deserved. Your work is amazing. Really. This card is fun. Loving the little peeks of stamped snowflakes to coordinate with the glittered ones. So far this is my favorite! LOVE IT!!!! Congrats on your win. I was really excited for you when I saw that. YAY!!!!! How exciting! Congratulations to you! Can't wait to see what you get in your box of goodies! Then to see what you make with it all! Congratulations and so happy for you Jenny! Love your snow tag card! Hugs! Jaw dropping and swooning at the same time! LOVE Shelly's technique and how you've used it here! Your tag in the center is amazing, and love the tinsel addition! This card is brilliant! Thanks so much for playing along with us on the Woodlands and Tinsel Twine challenge at CC3Challenge!!! Beautiful card! Great design and I love the overall colour scheme with the verdigris etc. Merry Christmas! Fabulous job, Jenny! I love Shelly's tutorial for the faux metal too! 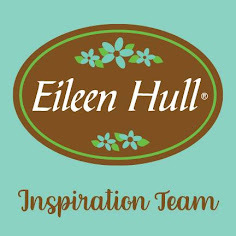 It works so well with the tag you created! The altered tinsel twine is the perfect accent to finish it! You finished the card so beautifully with so many lovely details! Gorgeous! Thanks for playing along with us! BIG congratulations, a well deserved recognition on a fantastic card. Love today's card as well, to me they are all "works of art"
Congratulations for your cute little soldiers card! And this one is brilliant ! 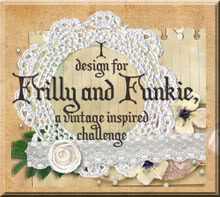 This card is awesome - great use of Shelly's tutorial! I pinned this to inspire me to make something like this after the holiday rush! Merry Christmas! Jenny your card is breathtakingly awesome! Seriously sensational take on my Tag #11, Jenny. Love the faux galvanized tag you created and the glittered snowflakes set it off so beautifully. I must check out that verdigris tinsel - my Compendium III sits gathering dust on the shelf. It looks sensational here. Beautiful use of ephemera too! A huge congrats on your win over at CC3C! And how blessed am I to be the recipient of that fantastic Christmas card. Thank you so much. It looks fabulous sitting on the shelf in my craft room! Beautiful card! Lovin' all the shimmery detail! Thanks so much for joining along with the Simon Says Stamp Monday Challenge! Congratulations on your well deserved win, Jenny! This is another stunning card, as always and I adore all that shimmery detail, the texture is to die for and the colour palette is exquisite! Fabulous, really love the way the colours have turned out o this one! Yay - congrats on your CCIII win! And a huge WOW for your take on tag 11 - this is simply glorious. So much fab metallic texture and grungy distressing, and a wonderfully subtle background letting your collage composition do the talking. This may be a new favourite for me. Yum! Well, of course you won the CC3 #16 challenge, Jenny!! YAY!! CONGRATS!! Oh, the fun you're going to have with the Tim & Mario prize package!! Way to go! !